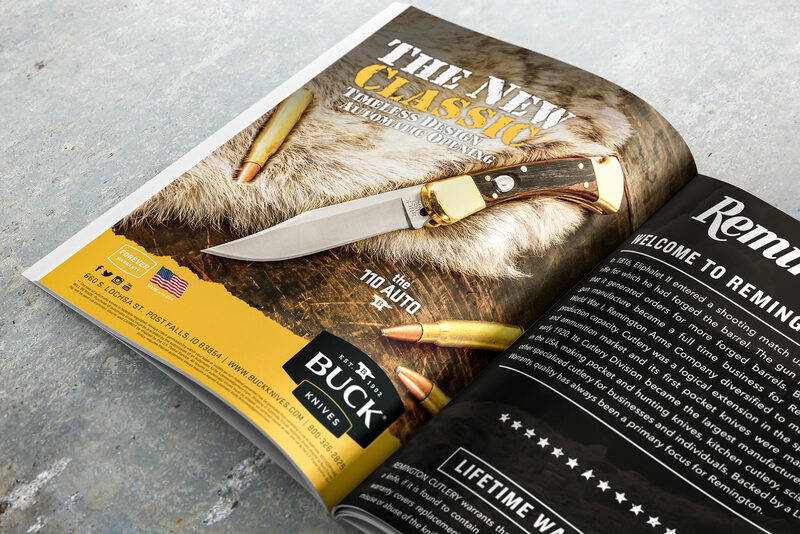 About: Art direction and design for all of Buck Knives ads. 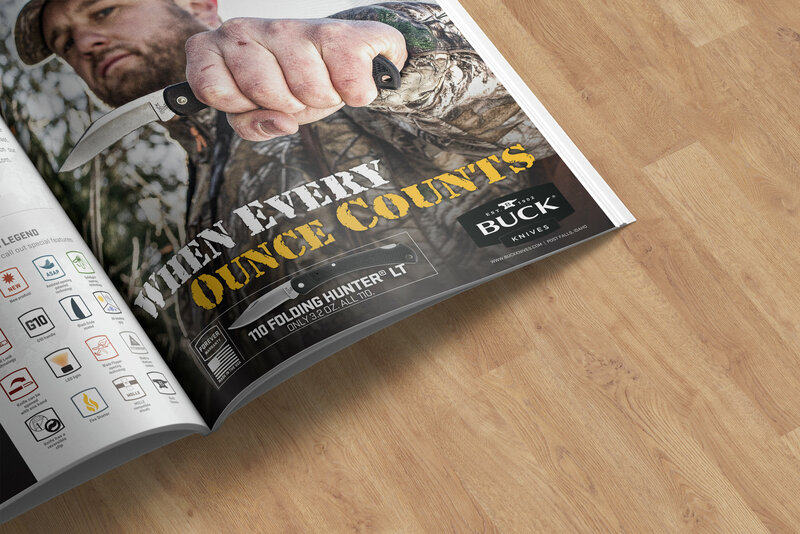 For the “When Every Ounce Counts” ads, I art directed, was the photographer, designer, and I even did the tagline and copy. The photoshoot took place in about thigh deep snow. My Vans got a little wet in the process. For the final photo I was laying on my back, sinking into the snow while trying to direct our model. 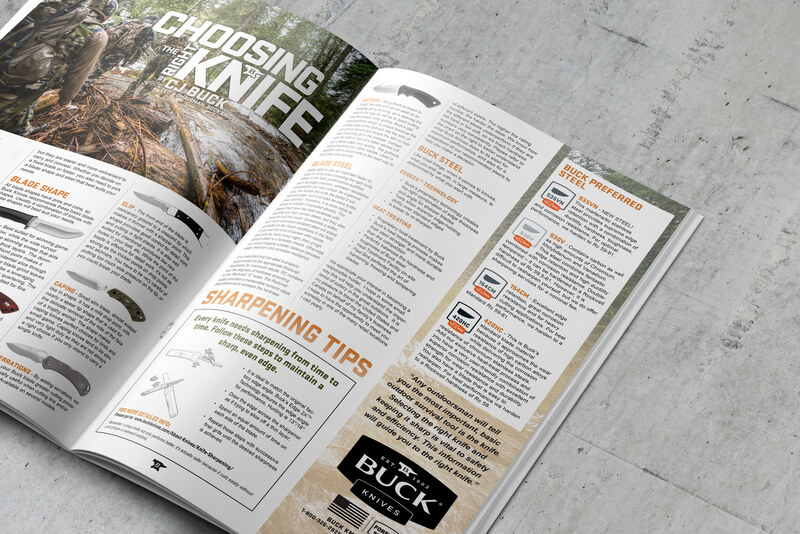 As far as the design, I came up with a new layout that minimized the information on the bottom of the page. We normally would list our address, phone number, every social media account, Made in the USA, and our forever warranty on the bottom of every ad. It was busy and distracting. I removed a lot of the information, locked up the Forever Warranty and Made in the USA icons and incorporated them into the design. I think it cleaned up the design and let the product be the star. 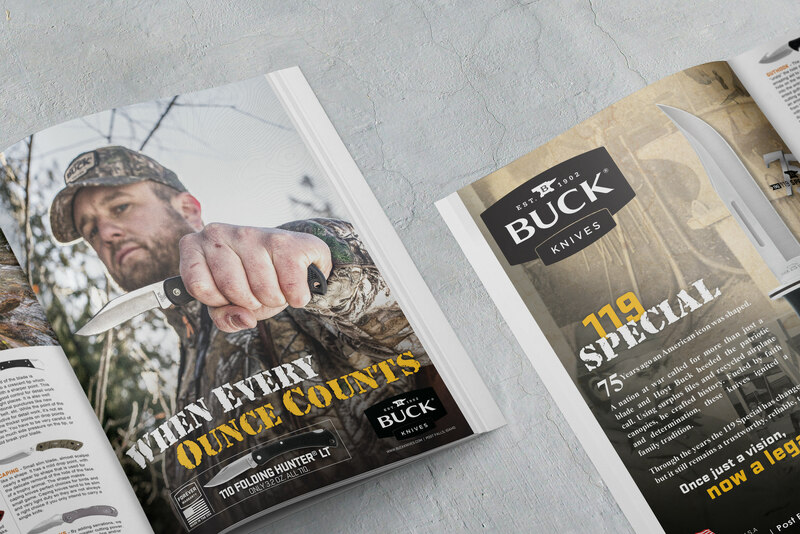 This ad was featured in Nascar’s program for the 2018 season which has over 1,000,000 copies printed.